distribution Known from just one mountain county -- Mitchell. This is the southern end of the range of this Northern species. abundance Considered to be of historical occurrence in the state, the only odonate considered by the NC Natural Heritage Program to be perhaps extirpated from the state. flight Probably May into July, inferred from Dunkle (2000). habitat Lakes, ponds, and large, slow-moving streams. Mainly with mud bottoms. Beaver ponds are only one of many habitats used in its range. behavior Males perch on the ground or vegetation near ponds. comments Duncan Cuyler (pers. comm. to the NC Natural Heritage Program) suggested an historical status for the species, as he had searched for it a few decades ago, and could not find the species. 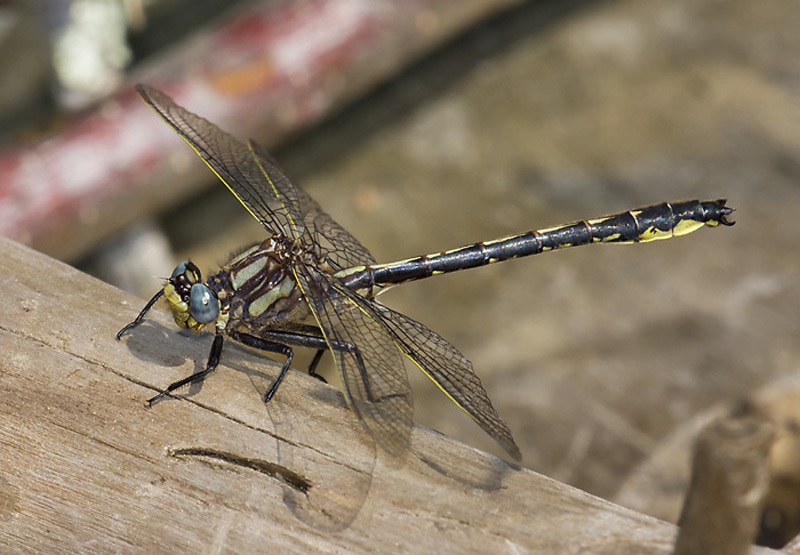 There are a handful of other dragonflies and damselflies with no recent records; however, biologists consider those to still be present, as likely there has been little or no search of known sites for them. Sadly, we do not have any data for the only record(s) known from the state for the Beaverpond Clubtail.